It may have been after midnight when the Chennai-Delhi flight came to a stop at the tarmac but there was no scramble to get bags from the overhead bin or rush towards the exit because all eyes were focused on one couple -- the parents of IAF pilot Abhinandan Varthaman. Air Marshal (retd) S Varthaman and Dr Shobha Varthaman were given a standing ovation as passengers made way for them in the early hours of Friday, ensuring that the couple gets off first. Abhinandan, who was captured by Pakistan on Wednesday, is expected to be released on Friday. In photos and videos shared by passengers on social media platforms, the couple, who came to Delhi on their way to Amritsar to bring their son home, can can be seen acknowledging the clapping, cheers and thank yous with nods of their heads. The plane landed at the Delhi airport about an hour after midnight. The couple left for Amritsar soon after landing in Delhi. They are all set to receive their son most likely at the Wagah border. 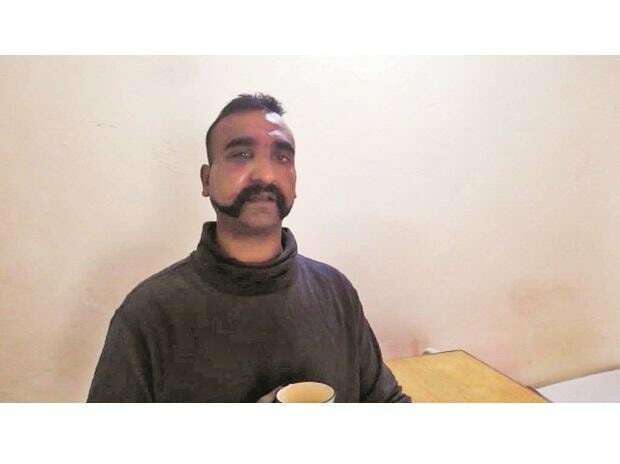 Wing Commander Abhinandan was captured by Pakistan Army after his fighter jet crashed in an air duel with a Pakistani F-16. He shot down the plane before his own went down, forcing him to eject. He fell into Pakistani territory. On Thursday, Khan announced that he would be released, signalling a de-escalation of tensions between India and Pakistan. Abhinandan's family has served the Indian Air Force for generations, since the second World War. Air Marshal S Varthaman, a recipient of several honours, including a Param Vishisht Seva Medal, said in a message, "Abhi is alive, not injured, sound in mind, just look at the way he talked so bravely... a true soldier... we are so proud of him".